If you own a beautiful, warm and tastefully decorated home you obviously possess art pieces that are not only expensive but are also of much personal significance to you. Art is one décor item that will never go out of fashion and will always look nice in a home no matter how many years have passed by. Since you are keen to preserve your valuable art pieces for posterity it is better you be aware of all the threats your possessions face even within the safe confines of your home. Being aware of the dangers will help you take proper precautions and if required, simple remedial steps to resolve the minor damages already done. 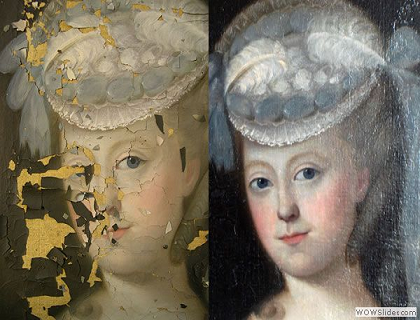 Art restoration is serious business and other than gentle dusting and damp wiping where advised, no further cleaning or repairing activities should be performed by you. There have been many instances where valuable artworks were damaged beyond recovery by DIY jobs carried out by ignorant owners. So ensure your paintings and other art are well looked after and cared for, and educate yourself about the unique needs of your valuables. Read on to find out some really handy tips. 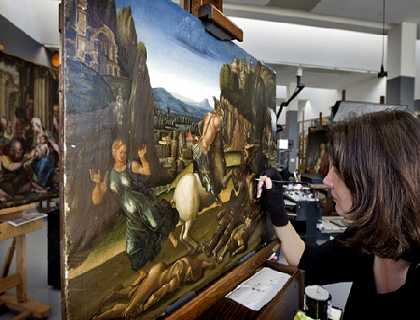 Exposure to light causes irreversible damage to artworks, especially paintings and photographs. The UV radiation present in the sunlight is the most damaging, causing colors to fade. The organic pigments present in paintings and drawings also become brittle after prolonged exposure to sun. Another aspect is that the damage from exposure to light is cumulative; it builds up over time and therefore the deterioration of the artwork is a continual process. Natural sunlight is an extremely powerful source of energy and more than UV rays it is the visible spectrum that causes the maximum damage. The flood of sunlight in your home causes varnishes on paintings to darken altering tonal effects and the overall viewing experience. Watercolor pigments fade in a very short period of time when exposed to full sunlight. It is not just the paint and the colors that are affected, the structural integrity of the canvas or paper support also gets drastically altered. They are weakened and lose their flexibility. Canvases and paper become discolored and brittle. It is a common misconception that modern ‘pigments’ and canvases are not affected, but just like old art they too bear the brunt when exposed to harsh sunlight for long. There is plenty you can do to limit the damage from light to your art. •	Do not hang paintings and photographs exposed to direct or reflected light. •	If your living room is well-lit and you have beautiful art hanging on your walls, ensure you coat your widows with clear UV- film. Use incandescent lights which are less damaging than fluorescent lights. •	We offer great options in picture framing glass which will provide maximum protection to your beautiful art pieces. But it is always the second line of defense. Moist conditions have the biggest impact on the life and appearance of all artworks. The natural and organic pigments used in paintings and other art forms have hygroscopic properties. They absorb moisture and swell up, or release moisture and contract based on the humidity in the environment. Extreme fluctuations in temperature cause changes in the amount of moisture in the atmosphere. Rapid changes in humidity levels place your art under undue stress. Cyclic expansion and contraction causes flaking and cracking of the paint layers. This also causes structural damage to supporting materials. Heat and humidity also speed up adverse chemicals reactions in paintings. Another byproduct of moisture buildup in organic paint pigments is mold and mildew infestation. It not only cause disfigurement and discoloration, but can even digest entire artworks including canvases, paper and paints! • You can do well by hanging your artwork in properly-ventilated rooms. • Do not store them in airtight cupboards and boxes and forget about them. • Hang your paintings away from heat and moisture sources like heaters and radiators. • Do not hang valuable art in kitchens and bathrooms. • Monitor the temperature and humidity levels in your home and make use of air conditioners and dehumidifiers. • Check with our local frame shop in Sydney for proper framing techniques suitable in the unique local climate. Dust, dirt and insects like silverfish and borers can completely destroy your paintings and photographs if left unattended for long. The reasons why they attack your artwork are many. Moist and damp environments, and dust builup encourage insects to grow and thrive on your artwork. Borers will eat wooden picture frames and supporting structures hollow if you do not undertake timely remedial action. Silverfish also gorges on paper and other similar organic stuff found in your artwork. Ensure the artwork is kept in neat and hygienic places, and allow good air circulation in the rooms. Check for signs of trouble periodically and remediate them immediately. Good framing techniques will provide adequate protection from insects and dirt accumulation. Insect-resistant backing and other specific techniques will provide your art the required safety. The right framing techniques ensure the beauty of your art stays intact for years. A well-framed painting will remain beautiful and safe for generations and can outlast almost all other items used to decorate your home interiors. But if you frame incorrectly it can lead to a total loss of the artwork. Poor quality backing boards, mats, tapes and adhesives cause irreversible damage to artworks. Ensure you have acid-free mat boards. Linen tapes and other archival quality hinges are great for securing art to the mat board. In addition to acid and lignin-free and conservation quality materials, the picture frame glass also has an important role to play in how well your favorite painting stands the test of time. We offer several types of UV-protection glasses that ensure your painting can withstand the harmful effects of UV rays and other light sources. Acrylic glass with UV protection is a cheap and viable option for residential use. For more valuable paintings you can go for museum glass. All artworks require loads of TLC to live for hundreds of years. Keep them away from dampness, moisture and full sunlight exposure. Quality framing and safe display will ensure the best care for your precious art collection. Hanging art is an art in itself. The way you put up paintings, posters and photos in your home will greatly affect the overall aesthetic appeal of your home interiors. Artists and homeowners alike fret over where they will hang their favorite art. The height and the placement, the grouping, the size of the various paintings you put up and the color palette of the art pieces will determine the overall visual effect. Another very important factor affecting the overall appearance and looks of an artwork is the frame. A well-crafted frame helps draw attention to the art or the painting, and acts as a distinct boundary demarcating it from its surroundings. And as any art lover with an enviable collection of paintings would know, choosing the right frame is also quite a task. Let’s see how you can hang your lovely paintings and other artwork beautifully to achieve the desired impact. As they say, the interiors of your home should reflect your personality. So buy your artwork carefully. Have a uniform thread running through them, or in other words, all your paintings should be part of a cohesive whole. None of them should strike a jarring note. This might seem a bit confusing, but you have the freedom to choose your own narrative. You can select a theme that you really love and enjoy. If you are buying art for your beach house, the theme could be based on the nautical journeys of acclaimed seamen of bygone eras, or the different moods of the sea. If you are a fan of budding talent, build up a collection by emerging artists. Explore what fascinates young artists and find out which theme appeals most to you. If you are running short of time, you will find it easier to choose art by genre, medium or even color. If you are a true art lover and have been a diligent collector over the years, you will be tempted to display all that you have got. But refrain from overcrowding your home interiors with your possessions. They will end up creating clutter on your walls and will make it difficult to focus on or appreciate any piece in particular. Assess your spaces and decide where your cherished art pieces will look the best. You can also rotate your art occasionally so that you get to enjoy all of it, as well as prevent the art from getting damaged due to constant exposure. Good frames can make even the cheapest print and poster look like valuable art. This works particularly well if you don’t have the big bucks to go shopping in art galleries. Frames are available in every variety and make. The mats you choose will also have a very important role to play in the overall visual appeal. So frame all those lovely posters you have and create an outstanding collage in your living room. If you want your paintings to be at the center of attention, ensure there is proper lighting to complement them. MR-16 low voltage bulbs and PAR 30 bulbs are popular. Track lighting and recessed lighting with adjustable heads are among the favored lighting options for paintings. UV rays are damaging to paintings. On prolonged exposure, they cause colors to fade and permanently damage your artwork. Heat and moisture are also serious threats to the beauty and the longevity of your artwork. So ensure you do not hang your paintings in places where they will be vulnerable like in the kitchen or the bathroom. It is important you mount your art at the right height. Once you drill a hole into the wall, it would be quite unsightly to remove your painting and put it somewhere else. If you have standard 8-foot high ceilings, ensure the center of the painting is about 5 feet from the floor. This is the average human eye-height and your guests would not have to strain to look up or lower their gaze to enjoy the painting. If you’re hanging the painting behind a sofa, ensure there is a gap of at least 6 inches between the top of the sofa and the bottom of the painting. In other words, in a room where people will be seated for most of the time, you can afford to hang art at a lower height. Grids or salon-style arrangements are great ways of enhancing the personality of your interior décor. They exude energy and vitality. Groupings work better in open and spacious rooms than in cramped ones. So if you have a sparse living room or an empty hallway, spice them up with a bright and lively grouping arrangement. While arranging a collage, trace the outline and cut out templates of each frame on kraft paper. Tape them onto the wall and mimic the pattern you ideally want. Move around the templates until you have attained the symmetry and the arrangement you desire. Creating the perfect grouping is not difficult. Skim through your favorite personal photographs to find the right ones. Have them professionally framed to get a uniform look. Your framer will also be able to guide you as to which frames to go for to create a unique eclectic look. Collages are about having fun, so don’t worry too much about getting it all perfect. There is no right or wrong way of putting up salon installations, just ensure you enjoy the end result. While hanging your art, ensure you give attention to the safety aspect as well. Picture hanging hooks are safe and secure, and ensure a flush hang to the wall. A single hook is suitable for art weighing below 30 pounds. Anything above that requires two or even three hooks. Strap hangers or D-rings are better than picture wires and hang securely from the hooks. In children’s rooms and for high-value art, use security hangers and installations that hold all sides of the frame firmly to the wall. You need to unlock the installation with a special key tool to be able to remove the art from the wall. When mounting art, safety, aesthetics and convenience need to be taken into account. Also you need not worry if you messed up the first time. It is easy to fix the problem with a little spackle. So go ahead and have some fun with your art. It is essential you get your paintings framed to maintain their beauty, life and loveliness. Colors tend to fade if not framed properly. Mold and mildew may set in, totally ruining your art. Framing alone does not guarantee you the best for your precious artwork. If not properly executed, wrong techniques and materials can do plenty of damage to your painting. Acids wear away the fabric and affect the pigments. The importance of framing right cannot be overstated, especially if you have a very valuable artwork or if it’s something that has considerable sentimental value. Since the materials used, the technique employed and the craftsmanship of the framer play an important role, make sure you get your artwork framed at a reputed place. All art does not warranty framing. Varnished art can be displayed frameless. Watercolors, gallery wrapped art work, pastels and drawings do not require framing. Consult your framer and check what is best for your artwork. Oil paintings on canvas also do not require framing. There is actually no limit to what you can choose to frame. Posters, personal memorabilia like wedding signatures and children’s art, vintage scarves and even certificates and diplomas can be framed. When taking your painting for framing there are a few questions you should definitely ask your framer to ensure you get the right results for the right price. Framing is an art in itself. It plays a very important role in the overall aesthetics and longevity of your artwork. When you take your precious possession to the framer, it helps if you know what processes and procedures are going to be involved in getting it framed. Upping your knowledge about framing techniques will help you have an educated and rewarding discussion with your framer. Here are six questions you absolutely must ask your framer. 1. How Safe Is My Artwork at Your Store and Where Will It Get Framed? This is an important question because the safety of your artwork cannot be compromised. If the framer has in-house framing facilities take a look around and get a first-hand idea about how they function. The person you meet in the shop would also be involved in all the activities so have a detailed discussion with him as well. If your art is going to be shipped somewhere for custom made framing, get to know of the steps involved. Ask about the quality of workmanship, expertise and the technology and equipment used. 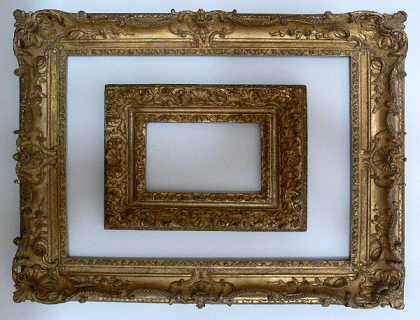 All reputed framers provide insurance protection to your art, so that in the case of any inadvertent mishap you will not suffer, and will be duly compensated for your losses. 2. Do You Make Use of Archival Quality Materials? The quality of the materials used and the kind of framing techniques employed will affect the longevity and the appearance of your artwork. The modern and scientific framing process makes use of acid-free materials especially for backing and matting purposes. Acid is the primary culprit that damages and breaks down paper and causes color pigments to fade. Quality mats used in today’s framing techniques are 100% acid-free and made from cotton or linen rags, or from alpha-cellulose. They are completely lignin free and are considered to be of the highest quality. Acid-free and archival museum boards or foam boards are used for mounting. These backing boards also do not damage your artwork in any manner. You can use these mounting boards for oil paintings as well to protect the canvas. 3. What Is the Mounting Process Employed? You should definitely consult with your professional framer as to what is the best mounting technique for your art. If you possess a poster or a print then dry mounting will ensure it looks aesthetically pleasing, is wrinkle-free and stays flat without buckling. Dry mounting can be permanent or partially reversible. If your art work is rare and valuable, then dry mounting is an absolute no-no. It will reduce the value of your art to almost zero. Hinging is archival and of conservation quality. In this process the painting or art piece is attached to the mounting board using linen tapes or other hinging materials. Archival hinges include acid-free adhesives or Japanese paper using organic starch as adhesive. 4. What Mat Should I Choose for My Artwork? Choosing the right mat can be painstaking and time-consuming. A lot goes into getting your mat right. The color palette of your artwork, its size, the place where you want to hang it and the overall coordinated look you want to achieve. Consult with your framer and get to know of the options and choices he offers before making your decision. As stated earlier, ensure the mat used is acid-free and is ideally either an alpha-cellulose or a rag mat. 5. Which Glass Should I Go For? The type of glass you choose depends on the level of UV and glaze protection you want. Regular glass will suffice for most purposes. The drawback of regular glass is that it is very heavy and does not offer good UV protection. Non-glare variants offer glare protection but has a frosted appearance. Acrylic glass, also known as Plexiglass, is a cheap and cost-efficient option. It is very light and will not shatter into dangerous splinters in case of an accident. It is available in regular and non-glare variants. Acrylic glass offers up to 60% UV protection. Museum glass is the best option and unsurprisingly it is also very expensive. However, you may not require it unless you have a very valuable masterpiece. It offers close to 99% UV protection and is almost invisible to the naked eye. 6. How Much Will It Cost to Get the Best Frame for My Work? Sometimes you may find that the frame costs more than the artwork itself. A $20-poster measuring 24x36 will cost a considerable amount to frame. You have to take into account the labor cost as well as the cost of materials used. Good quality backing boards and alpha-cellulose mats are expensive. A mahogany frame will cost more than a cheap plastic one. Museum glass and archival framing are also premium services. Custom framing will give you the benefit of getting a unique and one of a kind artwork in your home. Ensure you get a complete and all-inclusive estimate before handing over your artwork. A reputed, bankable and quality framer will be happy to answer all your questions and guide you through the various steps of the framing process. If you feel he is giving you vague answers or is not exactly sure of his workmanship, go somewhere else. Most of us possess beautiful paintings, vases, rugs, furniture and jewelry handed down from generations. Some of these precious possessions are displayed innocuously in our living rooms while some are stashed away in closets or carefully wrapped and stored away in the basement or the garage. Rarely do we think of their value or how much they are actually worth in hard dollars. We don’t have the time or the inclination to dwell on the possibilities until a random story appears in papers of an heirloom painting fetching the dumbstruck owner millions of dollars. So is that painting in your attic really worth something? How can you find out if your great-grandmother’s beautiful oil painting is an antique masterpiece which can really prove to be a windfall? TV shows and real-life stories of people discovering treasure in their garage or dumpster have proven to be a wakeup call for many of us. Many pieces of valuable artwork were lost by their owners during the various wars and ensuing continent-spanning relocations; many were passed down to ignorant and careless heirs; a lot were stolen; and many were bought and sold by ill-informed art lovers, all of which left a number of antique valuables gathering dust in the most unexpected of places. So explore your dusty cellar and clean up your attic. Keep your fingers crossed to find a gem! Since you are reading this post you probably do have something on your hands. Here are a few tips to help you ascertain the value of your find. First you need to make out what you have on you. Is it an oil painting or a watercolor? Is it an original or a less valuable print? And there are many more varieties that you should consider. Prints of watercolors are very difficult to make out from the original, and require a trained eye to spot the difference. Rare prints of valuable paintings do command a very high price in secondary markets. Watercolor paintings need to be closely examined under a magnifying glass to find out tell-tale signs that give away it is a print. Brushstrokes are not as evident in a watercolor as in an oil painting. But you may be able to spot gradations, highlights or even spots where the artist has scratched out the layers of paint to reveal a bit of the white paper beneath. Other signs of original painting can be identified by closer and more expert examination. Most paintings have labels at the back that provide details of the work, the artist, the sellers and even the price. The easiest way to find out more about your artwork is from the details in the label at the back. If the name of the artist and the title is available to you, research online and find out more about the artwork. You will get information regarding the number of prints and their value if the artist is well-known and the work is documented. Many artworks also have the names of galleries or museums printed on labels. This proves the art is a reproduction or a print. Prints too may fetch you your millions, provided you recognize them. You probably are already aware of limited edition prints and how coveted they are by collectors. Signed and numbered prints of valuable paintings are very expensive. Here too, if you have the details on your artwork itself, Google to find out more. There is a wealth of information available online that can aid your research. Do not have the misconception that an unsigned print is worthless. The practice of signing prints or reproductions has only been around for the last 100 years or so. Prior to that there were authorized prints that were sold by renowned artists unsigned. Picasso’s granddaughter is said to have sold many prints with her signature on them, which very much resembled the Master’s! The earliest prints were in sepia or black and white. There were other practices as well like etching. Etching required the artist to make an impression of his/her work on a metal plate using acid. Etchings are then made of the engravings on the plate. Picasso, Rembrandt and Goya are said to have experimented with this art form which has been around since the 16th century. Etchings are a very niche area, so do ensure you get an expert to appraise your possession. The Frames Tell a Different Story Altogether! There are many prints and paintings that come in beautifully crafted frames. And even if your painting does not value a lot there are many antique frames that sell for tens of thousands of dollars. So do not throw away that grand old frame yet. Appraisers will be able to tell you if it is a Louis XV revival frame worth $20,000 or a Childe Hassam worth $50,000. So the takeaway is that if you have a suspected valuable antique in your home, do not tamper with it in anyway. Do not strip the red polish, no touchups on the aging oil canvas, do not clean the painting and never throw away the original frames. An art aficionado or a knowledgeable collector will be able to guide you in the right direction. Specialty prints like political cartoons or pictures of important events of the time command a high price from niche collectors. There is a high demand for prints related to horses, royal life, football, flora and fauna, social issues, you name it, the variety and the vastness of the subject is mindboggling. So You Have a Masterpiece in Your Garage, What Next? Expert appraisals and evaluations alone can determine the monetary scope of what you possess. Galleries and art dealers do buy valuable pieces from the public, but you need to be doubly sure you have a good bargain. Most will be knowledgeable, honest and fair. But who would not love to land a life-changing deal? You cannot really blame them if your 5K oil canvas sold for millions in a matter of few months. So be sure before you strike a deal. If the experts at reputed auction houses are convinced, they will definitely be glad to help you dispose your treasures. They will also be able to spread the word about the auction in the rarefied inner circle of art collectors and build a buzz around it. The chance of finding multi-million dollar antique paintings in your cellar is very less. But there are still undiscovered artworks worth millions tucked away among people unaware of their existence. So if you happen to have one of them, you now know how to deal with your find. All paintings, pictures and posters look their best when framed perfectly. A frame is essential to bring out the beauty of the art and should present the art in the most desirable manner. In the early days, especially during the period of the Masters, framers were also artists, and ornate and painstakingly created frames were the norm of the day. Frames help draw your eye to the artwork and you see it as the creator wants you to. Frames help bring out the essence of the painting and draw a boundary with the surroundings. The ancient paintings were usually framed by ornate and carved frames that took elements from the paintings and proved to be an extension of the artwork itself. The frames were made to blend in with the art and helped put an emphasis on the theme or the idea that the painting strived to reflect. The art of framing has since then grown to be much less than what it used to be during the heyday, mainly from the 17th century to the late 19th century, but the old pieces are still valued. Beautifully done European Baroque frames and Stanford White's famous Gilded Age frames command spectacular prices in the art world. Lovely frames are integral to your artwork. When you take your painting to the framer there are a few things you need to keep in mind. The first thing you need to make up your mind about is the exact purpose for which you are getting your painting framed. If the decorative qualities of the frame are of topmost priority, then you will have to focus completely on color, style and design. If you are concerned about the conservative qualities of the frame and the longevity of your artwork is the major consideration, then specifically ask your professional framer to address these issues. When you work with qualified, experienced and reputed professional framers it is possible to have a happy balance between all your requirements. The materials that are used in the framing process play a very important role in maintaining your art in a safe, secure and beautiful condition. Based on the quality and the nature of the materials used, the framing can very well be the best friend or the worst enemy of your art. The matting, the techniques used to mount the art and the type of glass used for framing all have a strong impact on the artwork. Acid-free or archival materials are recommended to prevent the painting from getting affected by the acidic conditions that may develop in the course of time. Conservation mounting should always be preferred over dry mounting. It ensures the painting or artwork is mounted to the support or the framing structure in a non-invasive and reversible manner. Dry mounting your artwork causes irreparable damage. The art is permanently secured to the mat or frame, and has got foreign objects attached to it which are impossible to remove. If you dry mount a valuable painting, photograph or a limited edition print, it will cease to be a valuable investment. No art curator or collector will consider buying dry mounted art work. There are no hard and fast rules when it comes to selecting the right frame for your art work. The style, design and type of the painting determine the kind of frames that will look good with it. The artist and the age he belonged to will also have to be taken into consideration while choosing the apt frame, especially if you have an antique artwork. You might think that getting a frame to go with your interior decor is a good idea, but then again, as stated earlier, it is best if the artwork alone is the sole determinant. If you have a period painting featuring a landscape or other classical subjects, then a traditional golden frame, a beautifully carved mahogany frame, or a simple and elegant walnut frame will do complete justice to the art. Sharp and sleek contemporary lines do not blend in well with the timeless allure such artworks exude. The size of the artwork also has to be taken into consideration while deciding on the frame. Ideally, large-sized artworks will require wider and larger moldings and frames. But in several instances, a big frame may not be practical. Floater frames are most suited in such situations. Floater frames add only a few inches to the painting and give an illusion of the painting or the artwork floating in the frame. Another fact you need to keep in mind is that all frames in your home need not be of the same style. If you want more than one piece of art hung up in your living room, you can very well have an Expressionist painting and a classical art piece grouped together. Disparate styles clubbed together often produce a spell-binding effect. But do not overdo the eclectic look. The glass used in framing also affects the life and the beauty of the artwork. The glass you choose plays a very important role in keeping out dirt, insects, particles and dust. If UV protection is a major consideration, you should go for protective glasses that offer it. Anti-glare glasses can reduce glare almost entirely, but they endow a fuzzy appearance to the artwork within. If you have an inexpensive artwork you can go for regular glass. It is the type that is commonly used. It offers close to 50% protection from UV rays. Regular glass has no anti-glare properties or scratch resistance. You have to be careful while hanging it up, since the broken glass pieces are dangerous, especially if you have kids at home. If the weight of regular glass is bothering you, go for light-weight and shatter-proof acrylic glass. It is a safe and sensible option if you are keen to have a cost-efficient job. Acrylic or Plexiglass is available in regular and non-glare forms and offers up to 60% UV protection. Conservation glass offers close to 97% protection from UV rays. There are variants offering reflection control which could notch up your costs, but are worthwhile, especially if you are going to exhibit your expensive artwork in sunlight-flooded rooms. Museum glass offers best protection from glare and UV rays. It is expensive, but apt if you have a valuable artwork on hand that you want to preserve for generations. A lovely piece of art deserves an equally beautiful frame. Do put in some thought and research while framing your artwork. The results will surprise and delight you.